Beaphar is celebrating having won the prestigious ‘Cat Product’ award for Beaphar Kidney Support Easy Treats at PATS Harrogate this weekend. 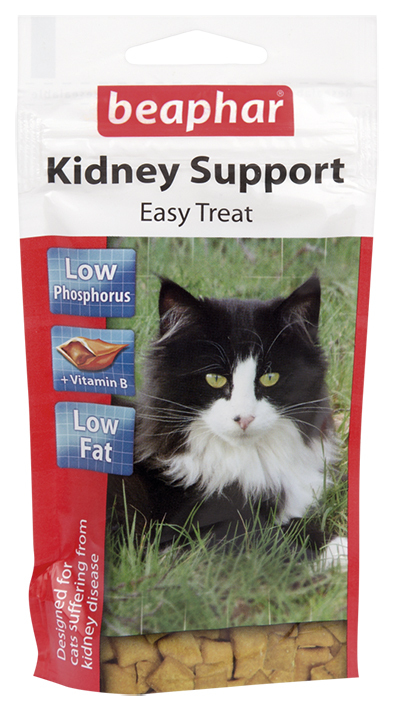 Beaphar Kidney Support Easy Treats have been specifically developed for cats prone to kidney disease, many cats of which are on a restrictive diet. The right diet is essential for cats with chronic kidney disease since incorrect nutrition will produce more waste products and will put additional strain on the already weakened kidneys. Due to excess urination in cats suffering kidney disease, many B vitamins are excreted before they can be utilised by the body. To compensate, Beaphar Kidney Support Easy Treats are also enriched with additional B vitamins to provide cats with the necessary nutrition they need. For more information about the award winning Beaphar Kidney Support Easy Treats for cats, product range or call our Customer Care Team on 0333 00 66 236.